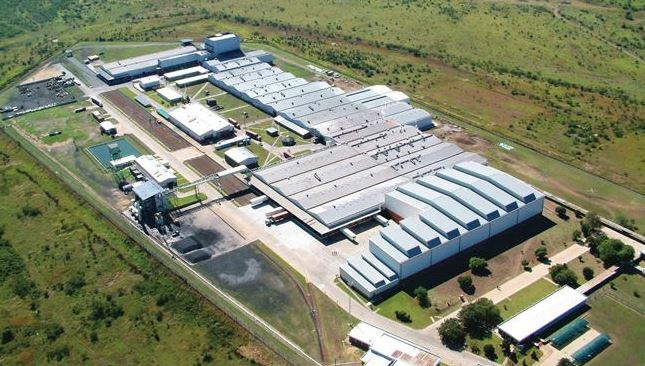 Sumitomo Rubber South Africa (SRSA) has announced it R2 billion investment in upgrading and expanding the company's Dunlop tyre manufacturing plant in Ladysmith, KwaZulu-Natal. SRSA believes the investment is a catalyst for both socio-economic and technological advancement in South Africa, with the direct job creation impact and employment spinoffs as a result of the completion of Phase One already being realised. CEO Riaz Haffejee comments: "Employment levels are already increasing due to Phase One. The first of nearly 120 new employees needed over the next few years, have already been recruited. Phase Two will attract a further 300 new employees. This will increase the employment of the plant to more than 1 200 employees on completion of the second investment phase". "Our investment consolidates our commitment to the South African and KwaZulu-Natal provincial economy, as well as the Ladysmith community. As one of the largest employers in Ladysmith, it will deepen our impact on stimulating job creation through increased production and industrial development competitiveness." The first R1.1 billion phase commenced in 2014 and say the upgrading and modernisation of the plant's capacity, as well as the introducing of new technology and equipment. The latter have been aimed at increasing manufacturing output of high quality passenger and Sport Utility Vehicle (SUV) tyres and coincided with the introduction of new SUV tyre models. "This is our response to the market trend and demand for these models in both South Africa and other African markets," Haffejee adds. Phase Two, at an estimated value of R910 million, focuses on the introduction and manufacture of truck and bus tyres for commercial use. This Dunlop branded product line is currently being imported into South Africa from SRI's plants in Japan and China, due to the unavailability of suitable manufacturing capacity locally. This new investment will establish a suitable local manufacturing base and terminate the current import arrangement. The company highlights what it calls an exemplary model of private-public sector partnership, wherein the Department of Trade and Industry (DTI) approved SRSA's application for a support grant of an estimated R300 million, under the Automotive Investment Scheme programme toward this initial phase rollout. In addition, the implementation of the DTI's Tariff-free Trade Agreement (T-FTA), is expected to enhance foreign trade and is set to strengthen export activity into key African areas. Indeed, such is the cooperation of the public and private entities, that the Emnambithi Ladysmith Municipality donated the underutilised tract of land adjacent to the existing plant to SRSA at no cost. SRSA adds that it will explore onsite resource efficiency improvements in renewable energy generation and water management interventions.